As I’ve mentioned before, I do think that I was a bit naive in my seed sowing. I’ve ended up with an abundance of plants, certainly far too many for my poor little city garden and mini greenhouse to handle. So once again I’ve had to cull the plants that I have in order to ensure sufficient space for the survivors to thrive. It’s like the plant version of the X Factor only without the dodgy tans and overinflated egos. 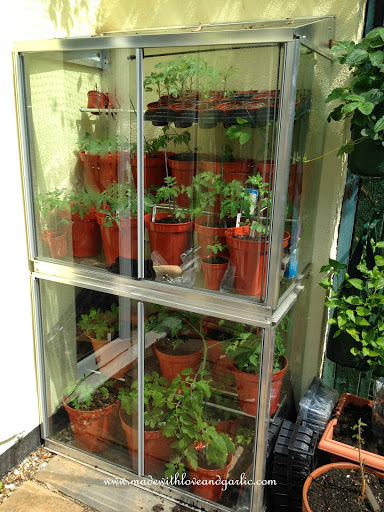 I’ve reserved the mini greenhouse for tomatoes. 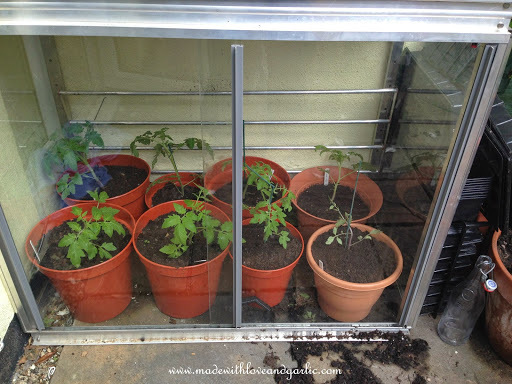 This isn’t just because they’re probably my favourite vegetable, but also to protect them from blight which runs rife in the UK if you grow tomatoes outside. However, I still had too many. 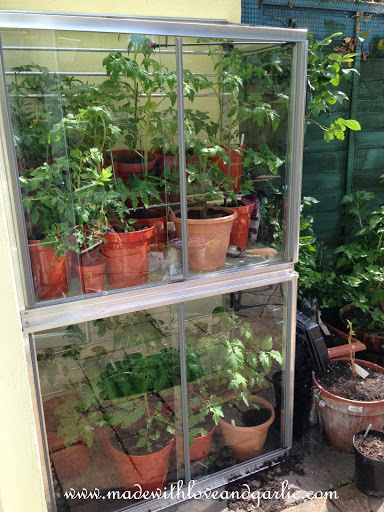 So I spent some time pulling up the shelving in my mini greenhouse and selected the strongest plants. It was a wrench throwing away the smaller specimens but it’s survival of the fittest here at Garlic Towers. 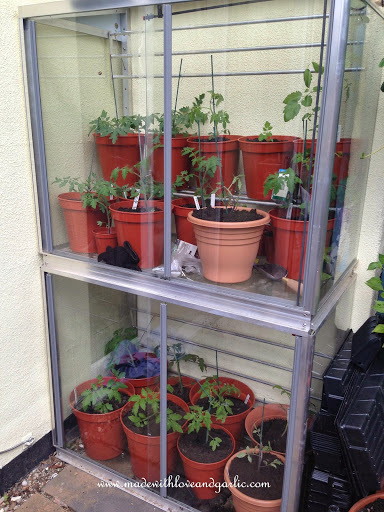 So voila; my newly sorted and thinned mini greenhouse full of plants that now have space to grow up!